Our first Security workshop was a success. 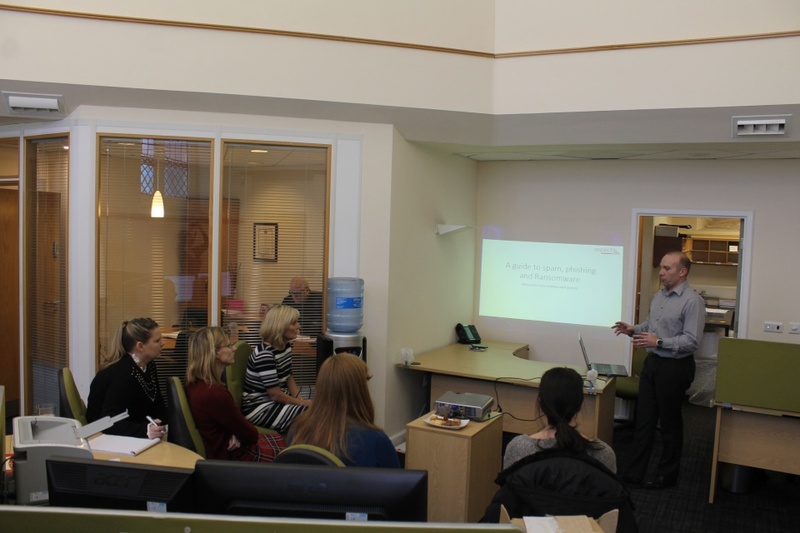 We’re helping locals SMEs become cyber smart with our workshops to help educate them on what to look for in a potential cyber attack and what course of action they must take. 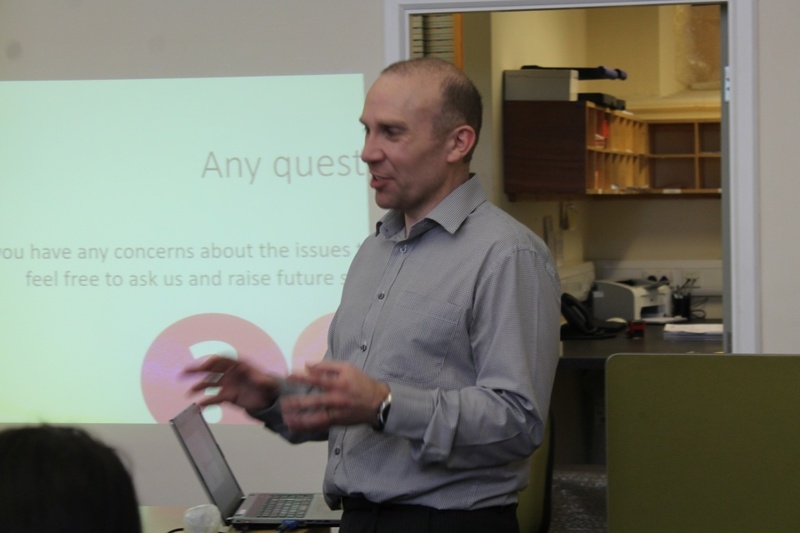 The workshop was held by IT Projects Manager, Ian Heywood who has recently celebrated his 10th anniversary with Aspect IT. 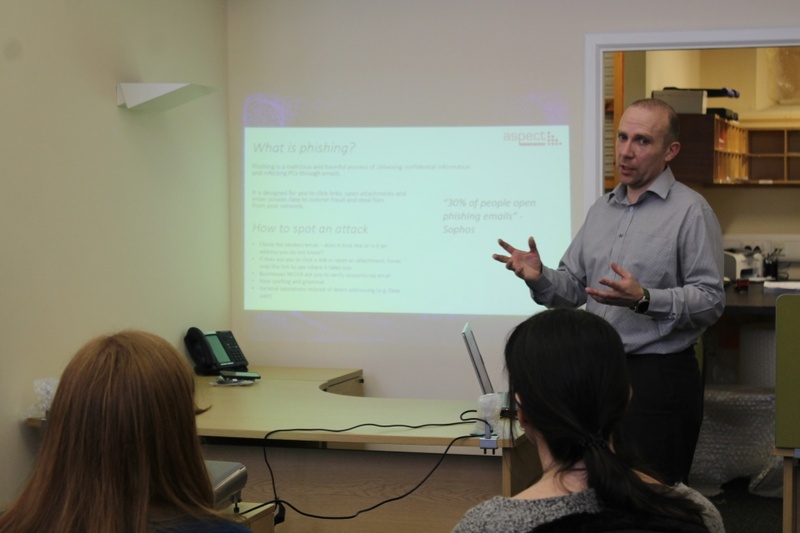 It consisted of a discussion on how to spot threats to a business that come through phishing and spam emails. Almost 6,000 spam emails are blocked per day, so we are keen to stress to all SMEs the importance of becoming more vigilant to spotting potential attacks. 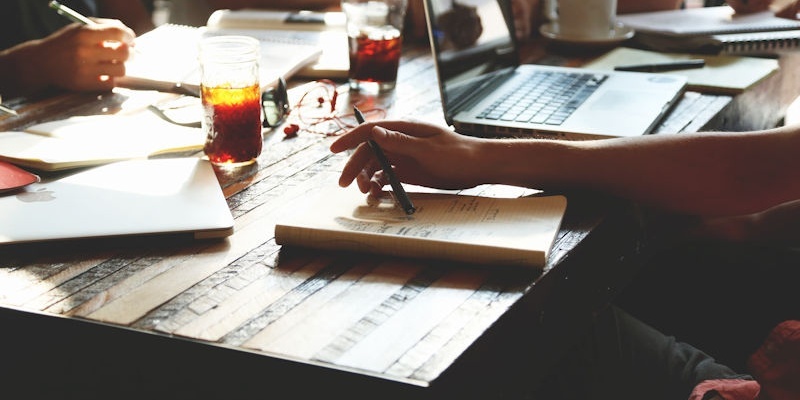 “We have seen a number of businesses suffer financially due to opening and actioning malicious content, so we need to help educate SMEs in what to look for and how they can prevent further attacks”. “The training with Ian was very helpful. Email scams are more prevalent and it’s becoming increasingly difficult to know what is legitimate and what isn’t. 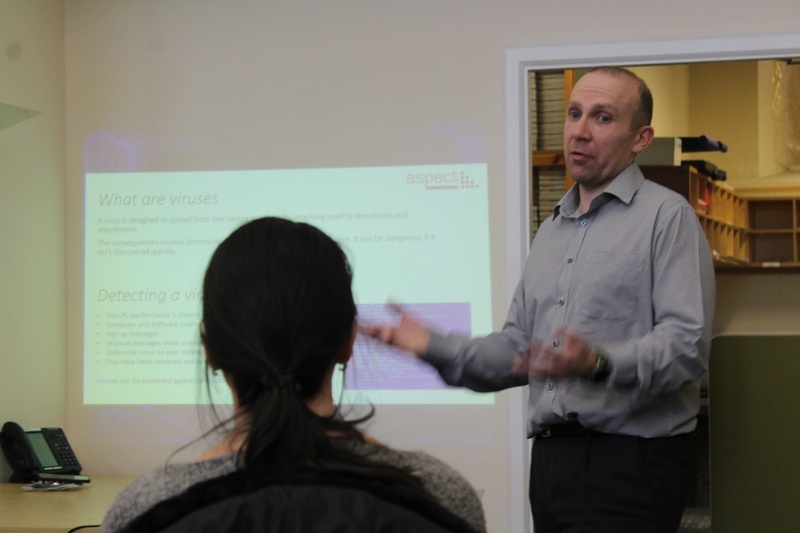 The training gave us a clear insight in to what to look out for – Thanks Aspect for the helpful session”. 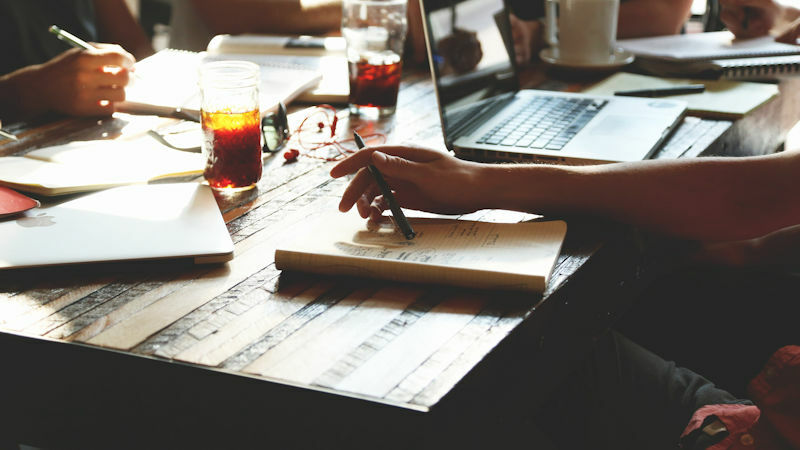 If you’re an SME within the Greater Manchester area and would like a workshop to help and advise your colleagues to spot an attack, fill out your contact details below and we can discuss a date and time suitable for you and your colleagues for us to visit you onsite.